If your dentist finds a suspicious group of cells in your mouth, he or she will conduct further tests to check if the cells are cancerous. Visiting your dentist twice a year does more than keep your teeth in tip-top shape. Once a year, you should ask your dentist to give you an oral cancer screening. This screening is vital to diagnosing cancer in the early stages, when survival rates are highest. 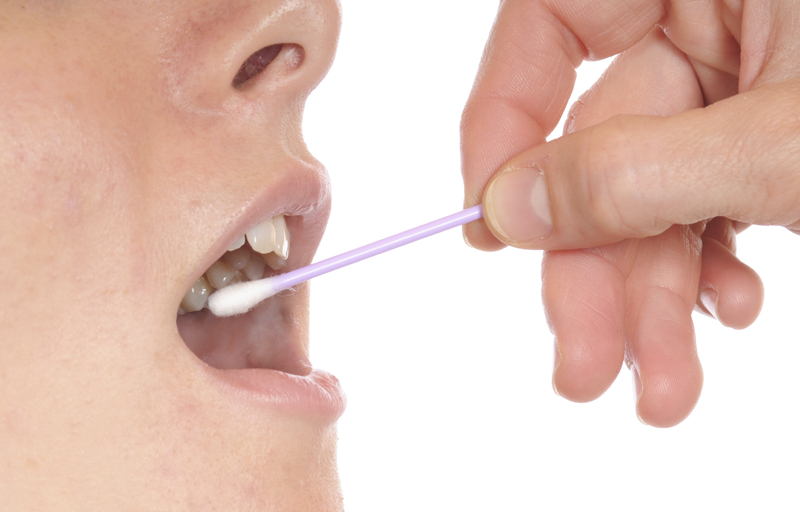 Oral cancer screenings are routine for your dentist. They have been trained to spot even the slightest symptoms. Screenings begin with a visual inspection of your mouth. Your dentist will look at the tissue on your inner cheeks, under your tongue and the sides of your tongue. He will feel around your jaw and look for any hard lumps that could signal a tumor. Toluidine blue stain: The lesions in the mouth are coated with a blue dye. Areas that stain darker are more likely to be cancerous or become cancerous. Fluorescence staining: The lesions in the mouth are viewed using a special light. After the patient uses a fluorescent mouth rinse, normal tissue looks different from abnormal tissue when seen under the light. Exfoliative cytology: A stiff brush (brush biopsy) is used to gently scrape cells from the lips, tongue, mouth or throat. The cells are viewed under a microscope to find out if they are abnormal. The earlier your dentist finds cancerous cells, the less likely it is that the cancer will spread to other parts of your body. Be proactive when it comes to your health. You will be glad you did! Since April is National Oral Cancer Awareness Month, the Delta Dental of Arizona Blog will feature articles about various oral cancer topics every Tuesday for the entire month, with a one-week exception (April 14-18). Our next post will discuss what to do once you’ve been diagnosed with oral cancer.